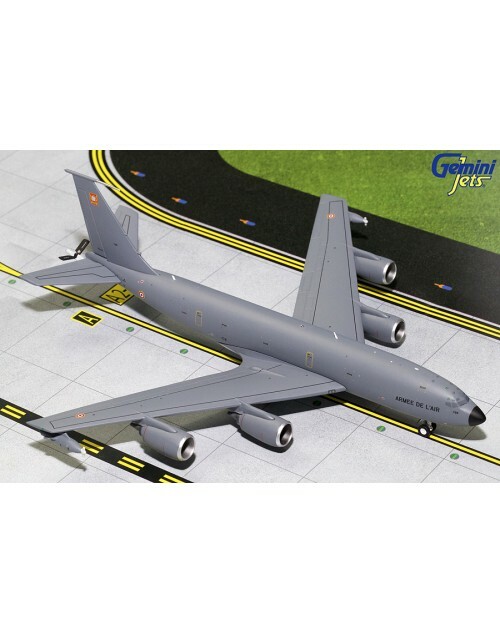 1/200 scale all die cast Gemini Jets French Air Force (Armee de L'Air) Boeing KC-135R. Serial No: 739, msn: 18699. Item # G2FAF745. Released in August 2018. Dimensions: Length: 8 1/8 inches (20.5 cms), wing span: 7 3/4 inches (19.6 cms).